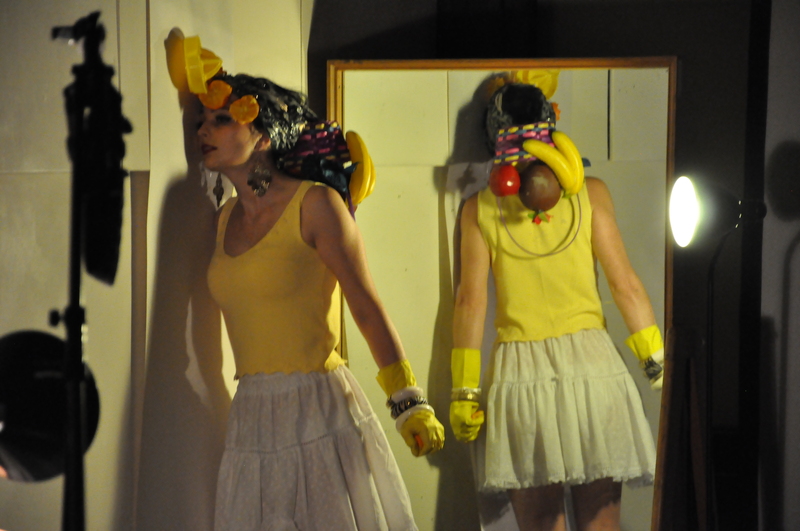 Never Going to be Carmen Miranda was hatched out of a performance workshop I gave at Salford University for Visual Arts students. The idea was to work with something simple (an orange) and make up exercises, games and performances. I nailed a juicer to the wall and tied oranges to my head and squeezed the fruit. Juice collected in a champagne glass on the floor. In the end, that orange signified a lot for me. It’s about the sticky subject of love. I thought about breaking up with my Brazilian boyfriend. I thought of Carmen Miranda, with fruit in her hair, exotic, in glorious Technicolor; as juice rolled down my face in Salford. 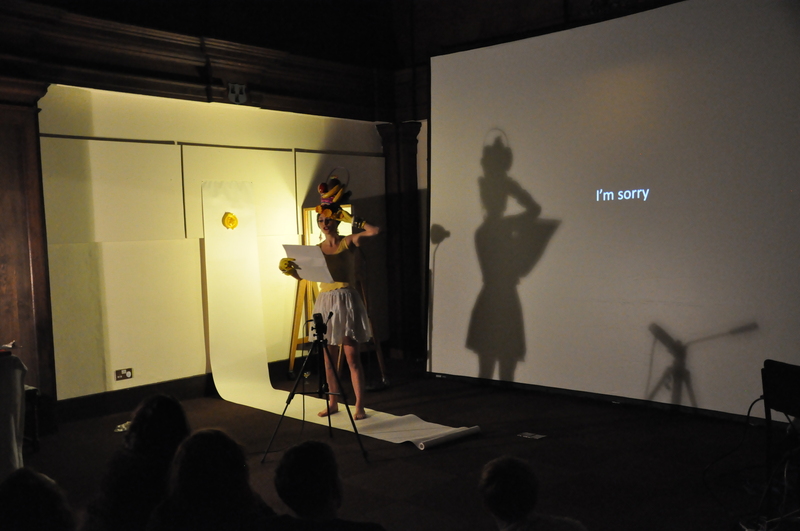 Here are some stills of the performance livestreamed from a church in Salford as part of Videoformes, a performance and film exchange between Salford University and Clermont-Ferrand, France. 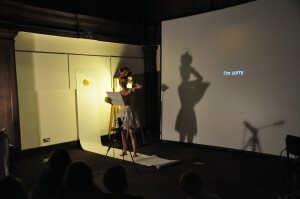 This performance included an introduction to the piece in French and a more ambitious head dress. I used more oranges this time, and a roll of paper to catch the juice as it rolled down my face and the wall. This time round it was more spectacular, silly and sort of harrowing.